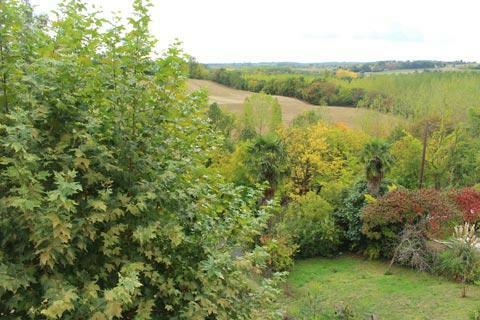 Montreal-du-Gers, one of the 'most beautiful villages in France', is at the northern limit of the Gers department, 10 kilometres west of Condom and five kilometres west of Larressingle. 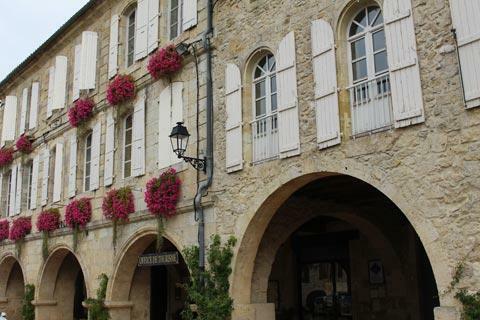 It is a traditional bastide town of south-west France, founded (as were many) by Alphonse de Poitiers. A roman settlement had previously stood in the same location. 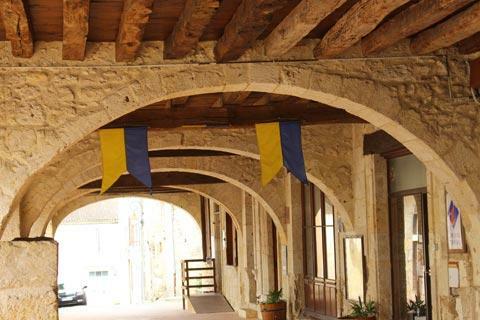 The bastide towns were the new towns of the 13th century, and usually have a central square surrounded by arcades (sheltered edges, accessed by large stone arches). The streets in these towns radiate from the centre and are straight, and carefully planned to give equal space to each house. 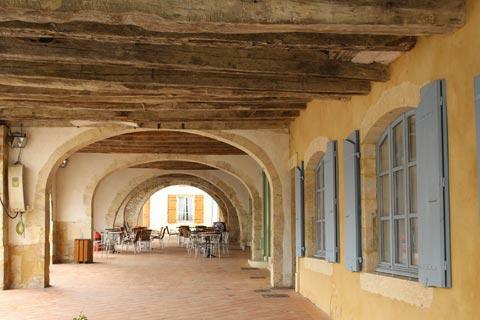 It is this central square that is the centre of your visit to the quiet town of Montreal-du-Gers, followed by a stroll along the quiet side streets to admire the medieval and half-timbered houses. The town hall that dominates the Place de l'Hôtel de Ville dates from the 18th century. 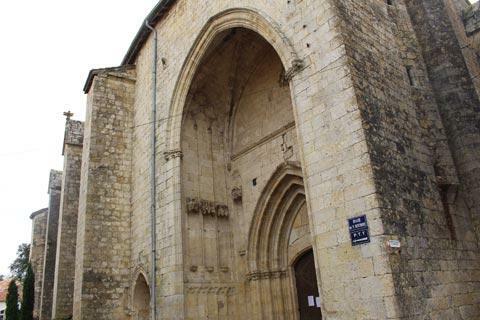 The 13th century Church of Sainte-Marie* in Montreal-du-Gers, as in most bastide towns, is adjacent to the central square. 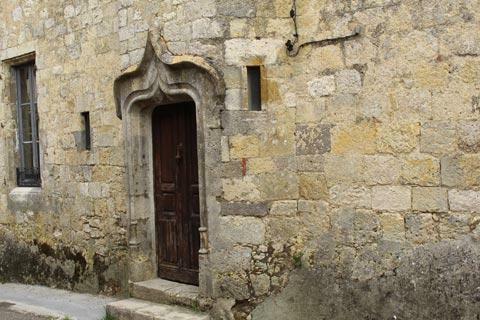 You can admire it from the square as you take a rest at one of the cafes in the square, then take a look at the carved stonework around the doorway before entering the church to see the painted capital stones. 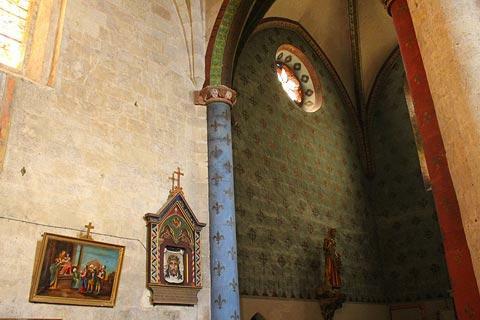 * You might also see mention of the 'Church of Notre-Dame' and the 'Church of Saint-Philippe and Saint-Jacques' - don't go searching for these, they are different names for this same church! Below the village there is a flight of steps that lead to the gently flowing river Auzoue. About two kilometres outside the town and next to the river you can see the ruins of the Church of Saint-Pierre-de-Genens, largely destroyed during the religious wars in France in the middle ages but still preserving some of its original roman style stonework. The Roman Villa and Museum of Seviac, dating from the 4th century and having a large number of intact mosaic floors, was once one of the most luxurious villas in the region, and can now be visited near Montreal-du-Gers. Montreal-du-Gers is on the Le Puy en Velay to Santiago de Compostella pilgrimage path, and has the unusual distinction that we actually saw a couple of heavily laden 'pilgrims' making their way through the village. Visit the tourist office to find out more about the path and other walks in the region. 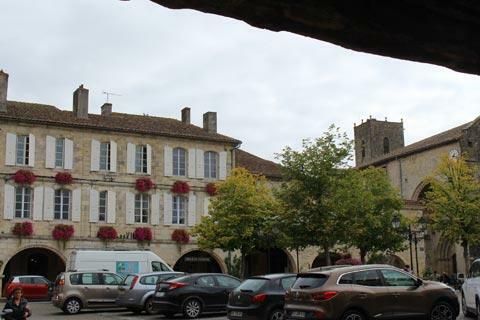 The very lovely medieval fortified 'city' of Larressingle and the village of Fourcés are also close by and, like Montreal-du-Gers itself, both are classified among the 'most beautiful villages of France'.